S. D. ROBERTS, who died September 17, 1892, was one of the old settlers of Bond County, and resided on section 3, Mulberry Grove Township. He was one of the most prominent farmers of the county, and has had a life full of interest. Our subject was born in Henry County, Ky., September 15, 1822, the same year his father, who was one of the early settlers of the county, made his advent into it. The latter was born in Bardstown, Ky., in the year 1780, and he was reared in this place. After he came to Illinois, he settled on land which he obtained from the Government, but did not make that place a permanent home. He only remained there for about two years, and then went into Montgomery County and located at Vanburensberg, where he remained for many years. The first marriage of Mr. Roberts took place in Kentucky, and his wife bore the maiden name of Sarah Simmons. She was a native of Henry County, Ky., where she was reared, and died after her removal into Montgomery County. She was the noble mother of thirteen children, and all of these grew to maturity. All of them married with one exception, and reared families, and these have spread over the country and everywhere have borne the name without reproach. 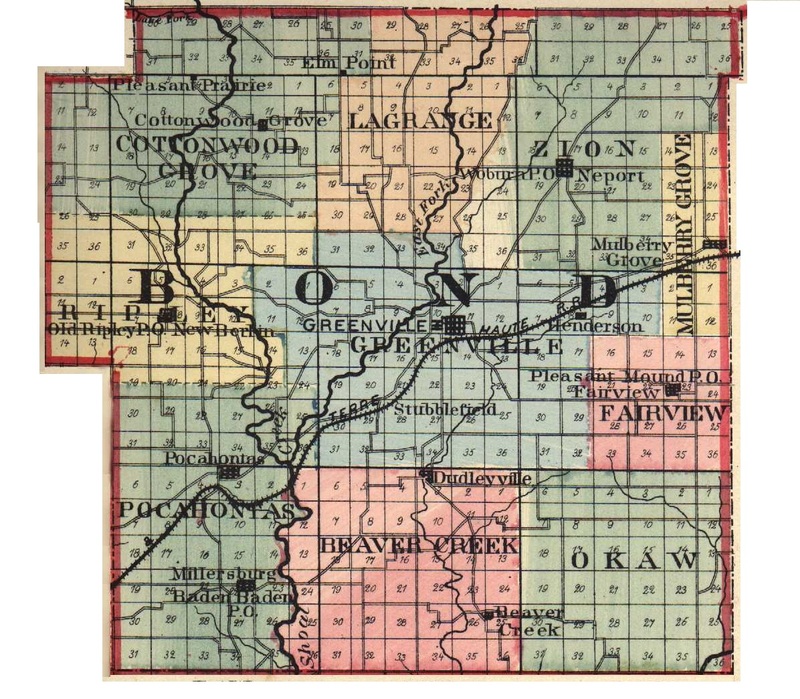 Extracted 20 Dec 2016 by Norma Hass from 1892 Portrait and Biographical Record of Montgomery and Bond Counties, Illinois, pages 328-331.